When your plumbing springs a leak, you need help fast, which is why you should call the water damage Eureka staff at 911 Restoration Saint Louis right away. We want to assist your around the clock, ensuring that the moisture does not have a long time to sit on the property and cause major problems, so we stay available 24/7/365. Once the homeowner confirms that our services are needed, we will arrive within 45 minutes, equipped with all the gear needed to mitigate any leak and flood damage we come across. Call our licensed, bonded and insured water damage Eureka agents today and we will begin the restoration process with a free home inspection. We know everything about your home’s plumbing system, even if we haven’t seen it yet, because with so many years in the industry, we know we have seen and fixed it all. If a leak is causing issues on your property, you simply have to get our water damage Eureka specialists to your home and we will use top of the line gear to pump out water, dry the area, stop the leak and repair any damage that has set in during that time. We act fast to limit how much water damage can be done, because keeping you safe in the face of a massive leak is our main priority. It is important for homeowners to stay away from water the leaks into the home, because even though it looks clean, there is no way to tell what kind of contaminants it is carrying. Call our water damage Eureka professionals with 911 Restoration Saint Louis and we will go the extra mile to keep you safe and dry in the face of a plumbing problem today! When we arrive at your home we will go out of our way to treat it like it was our own. We understand how nerve-wracking it can be to have strangers in you house, and we are mindful of the circumstances. Our water damage Eureka crew want you to think of 911 Restoration as your extended family, because we will go the extra mile to treat you with respect and compassion. Dealing with water damage in the household can be overwhelming, but with us on the job you can sit back and relax while we literally do all the work. Not only can you count on us to restore your home back to the condition you know and love, but we will also guide you through the insurance process. Our water damage Eureka unit has worked with all types of insurance companies over the year and we have seen many different policies. We will go over yours with you and even file your claim for you to be absolutely sure that you have submitted all the correct information. 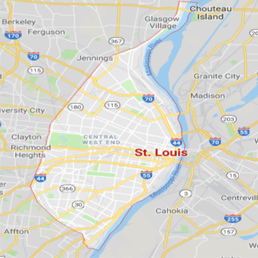 Call our water damage Eureka techs at 911 Restoration of Saint Louis today and we will make sure you get affordable and efficient water damage restoration.